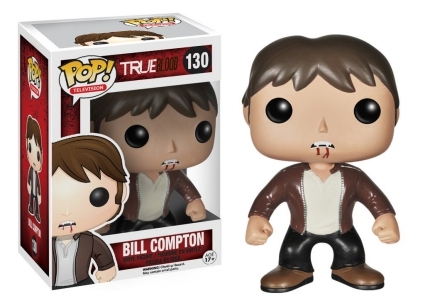 The HBO show with a side of blood, Funko Pop True Blood highlights several supernatural characters from Bon Temps, Louisiana. Based on Charlaine Harris' The Southern Vampire Mysteries novel series, True Blood follows telepathic waitress Sookie Stackhouse, portrayed by Anna Paquin, as she tries to navigate a new world where the existence of vampires is known. 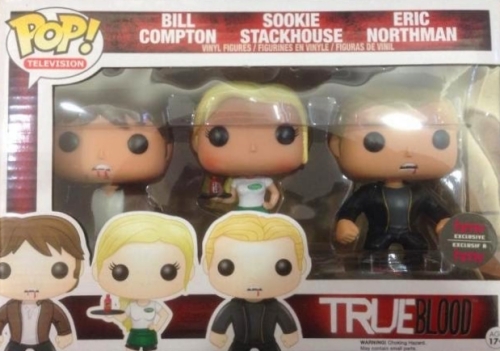 Funko Pop True Blood features Sookie in her Merlotte's Bar and Grill uniform holding a serving tray with a bottle of TrueBlood. 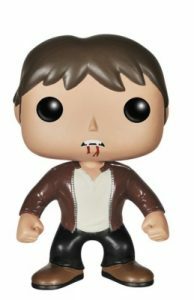 Shop for Funko True Blood Figures on Amazon. Sookie's main love interest, Bill Compton dons a brown jacket over a tan t-shirt, while Eric Northman opts for the always cool black leather jacket. Completing the look, both vampires show their fangs and have blood dripping from their mouths. 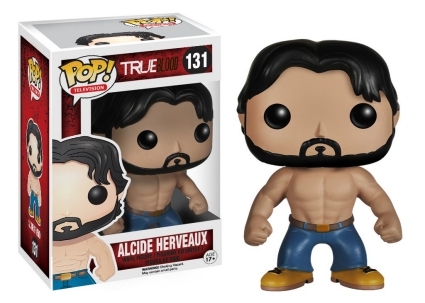 Alcide Herveaux is posed in blue jeans, construction boots and, of course, a bare chest—he is a werewolf after all. Northman's best friend, Pam Swynford De Beaufort is seen wearing her regular Fangtasia attire, which consists of a revealing red corset, black miniskirt, and leather boots. 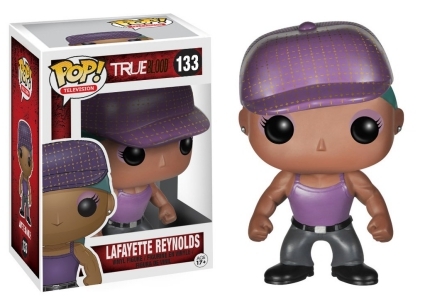 Lafayette "La-La" Reynolds rounds out the Pop! Television set as the cook shows off his muscles in a purple tank top and matching hat. 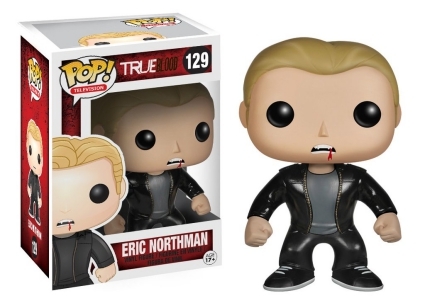 Read about other True Blood collectibles with our detailed autograph card guides.